Love camembert, brie, cheddar, gouda or blue? This Cutco serrated knife will easily slice any cheese. "My most recent purchase is a silicone spatula for cleaning out the peanut butter jar. Honestly I haven't used it yet except to spank my boyfriend once and for that it worked great," posted a local gourmand. I busted up laughing. I just joined the Bend Foodies Facebook group and read a thread posted by Judy Roth asking, "What's the newest kitchen gadget you've purchased and how would you rate it? 1 star-waste of money, 5 star-OMG amazing." The comments were both entertaining and educational. These are the gadgets foodies in Bend gave high fives. Silicone spatula, $5.99 and up. This affordable powerhouse will scrape every last drop of cake batter out of a bowl, is non-corrosive, won't scratch pots or pans and works well in high heat. A must-have for anyone with a kitchen. 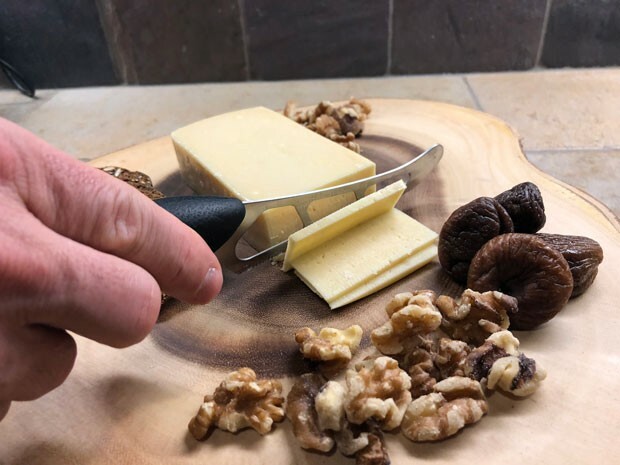 Cutco cheese knife, $73 and up. Cutting through tomatoes, gooey brie and hard cheese like it's butter, this somewhat expensive knife is worth it. I've owned mine for 15 years and it still works perfectly. I even take it camping. Instant Pot, $59.95 and up. The darling of the small appliance world at the moment, and for good reason: it claims to replace seven appliances. It's a fast-working multi-tasker that functions as a slow cooker, pressure cooker, steamer, rice cooker, sauté-r and searer, yogurt maker and warmer. In the words of Sara Santa, "It's the most amazing thing. It gets the most use for eggs—hard boiled, faux-sous-vide, quiche—but I love it for brown rice, beans, stews... hands down the best gadget I've bought in forever!" Indulge in french fries with less guilt. 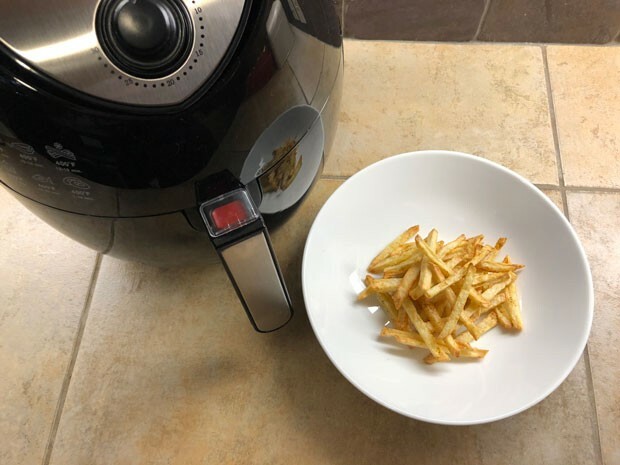 An air fryer only needs a small amount of oil. Air Fryer, $34.99 and up. Making deep fried food accessible to the health conscious, the air fryer uses circulating hot air to produce a crisp layer around food. Using less than a tablespoon of oil it can fry meat, fish, vegetables and frozen food. I use mine to make homemade French fries. 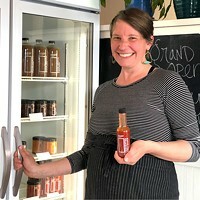 Another Bend foodie loves using it to cook chicken thighs. KitchenAid Mixer, $189 and up. Like the Instant Pot, the KitchenAid mixer is a workhorse. If you love to bake it's great for beating and mixing batters and doughs. You can also use it to shred cooked meat instead of pulling it apart with two forks. Purchase accessories and it turns into a Swiss army knife with the ability to slice, shred, grind, make pasta, sausage and more. Vitamix, $249.99 and up. The Vitamix mixes perfectly blended smoothies but it's more than an easy to clean, multi-speed blender. You can make frozen ice cream, sherbet, fruit sorbet or a hot soup in one container in under 10 minutes. This is a must-have for the vegan home cook, perfect for making nut-based sauces and non-dairy milks. Hand blender, $29.99 and up. This stick with a blender bottom is useful for blending directly in pots on the stove or bowls. 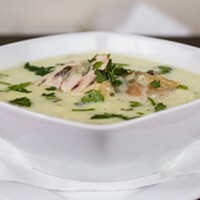 You can quickly thicken a soup with it since you don't have to pour the hot soup into a blender. It's more convenient and less messy. 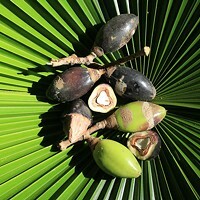 Local foodies use it to make gravy and homemade mayonnaise. Electric kettle with temperature control, $64 and up. It's very difficult to precision boil on a stovetop. When you have high temperatures that could scald white teas, using an electric kettle helps select the exact temperature. If you make your coffee with a French press, using boiling water can make your coffee bitter. Set this kettle to the right temperature, 200 degrees F, for a smooth, flavorful morning cup. Sous vide machine, $64 and up. Cook like a pro with one of these. By vacuum sealing food and cooking it in a water bath at a precise temperature, food cooks consistently and stays juicy. If you have a problem with overcooking meat, you need one of these. Proofing box, $154 and up. Controlled temperature and humidity are a bread maker's friend when working with yeasted doughs. With the dry, cold weather in Central Oregon a proofing box is a game changer that can yield more professional results. Local foodies know what works in the kitchen. Whether you're a home cook or need to buy gifts for one, this list has something useful for everyone.